Can you believe that in 1 month it's already Halloween? Time is passing too fast! 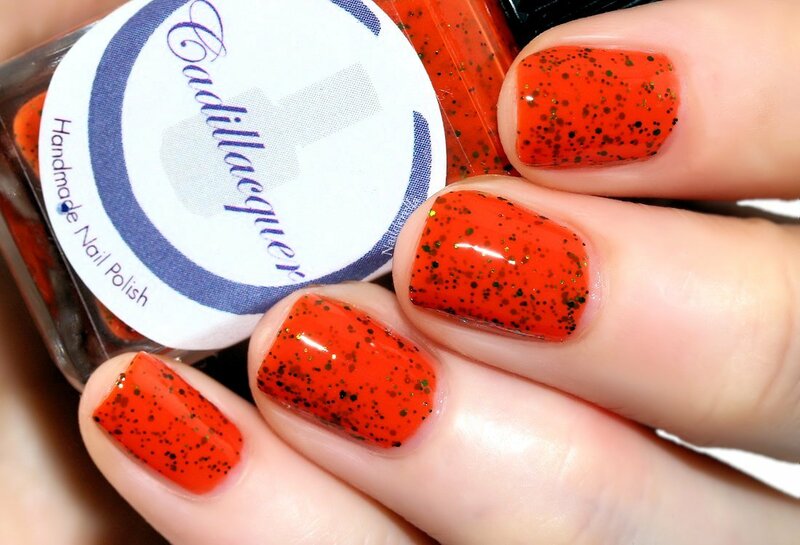 Today Cadillacquer is releasing their 2014 Halloween collection and have swatches of this wonderful collection to show you! 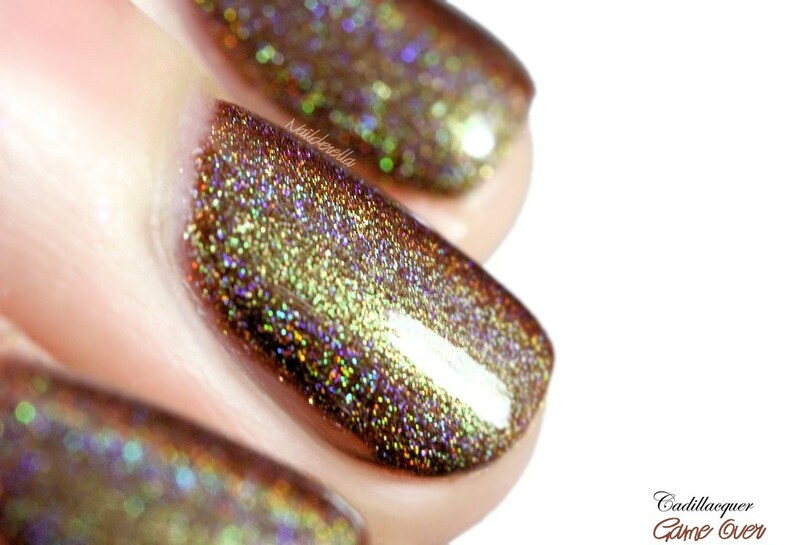 Game Over is an ocher linear holo with strong yellow/green shimmer. The shimmer is strong and depending on the lightening you will see more of the green or the gold. The base color has an almost toffee hue in the sun while it looks more chocolate brown in the shade. This sounds yummy, doesn't it? The holo effect is quite strong. Formula was easy to work with and opaque in 2 coats. I've been wearing this polish since last Sunday and it's still looking great!! Here you can see the more chocolate brown base color and the green shimmer. It's In Here With Us is a orange crelly with forest green metallic glitters. 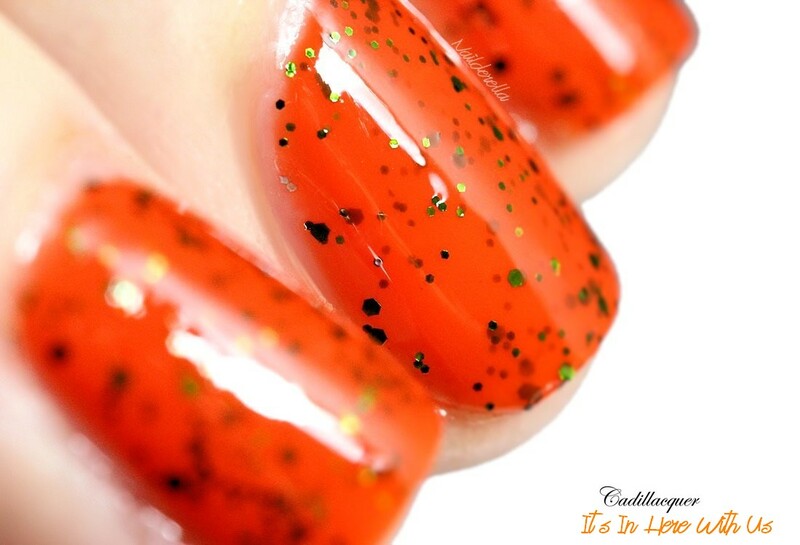 This polish screams Halloween! I just cannot express how much I love it. It's very original, very wearable and just gorgeous! A must-have! It's almost a one coater and has an awesome formula, not too thick nor too thin. I'm really impressed! I used 2 coats here to add more glitters. Please Don't Kill Me, Mister Ghostface is a blueish gray crelly with blue sparks and different sized dark blue holo glitters. This one has a quite thin formula but get opaque with 2 coats. Formula was easy to work with. It's also a very pretty polish I'll enjoy wearing. When You're In Hell, Only The Devil Can Help You Out is a dark olive green jelly with light green and pink/purple micro flakies. I love how dark and complex it looks! Formula was again easy to work with and it is opaque in 2 coats. 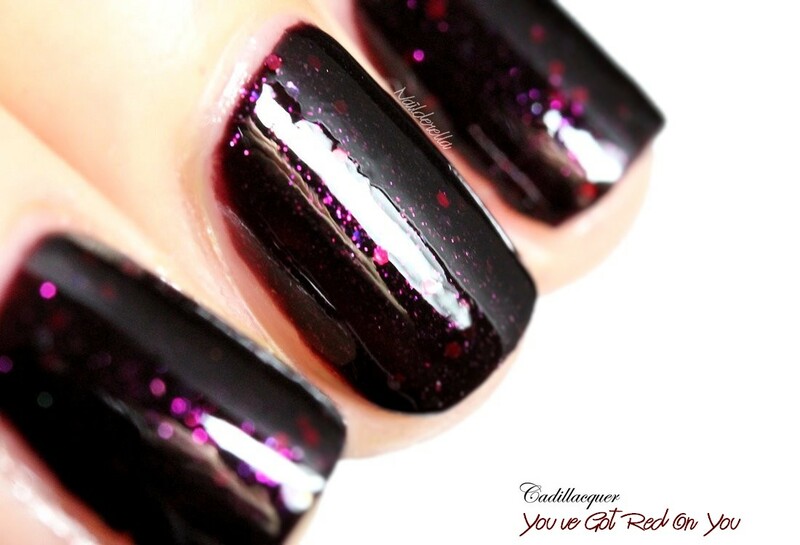 You've Got Red On You is a dark burgundy crelly with red metallic glitters and pink/purple shimmer. 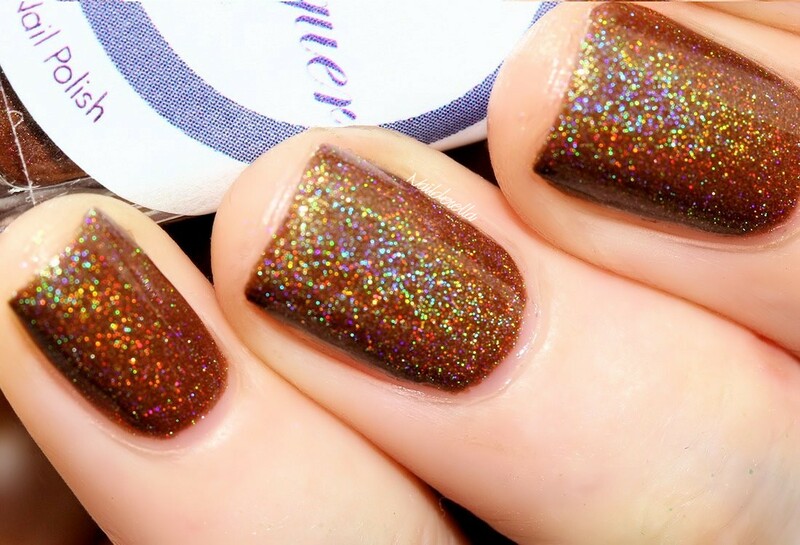 It's again a very appropriate polish for Halloween but you can easily wear it all year round. I used 2 coats. What I like about this collection? 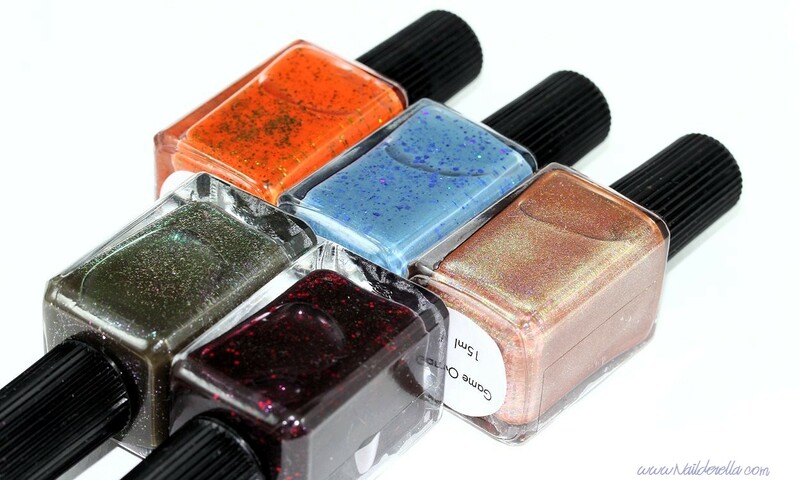 The originality of the colors and the great quality of the polishes! 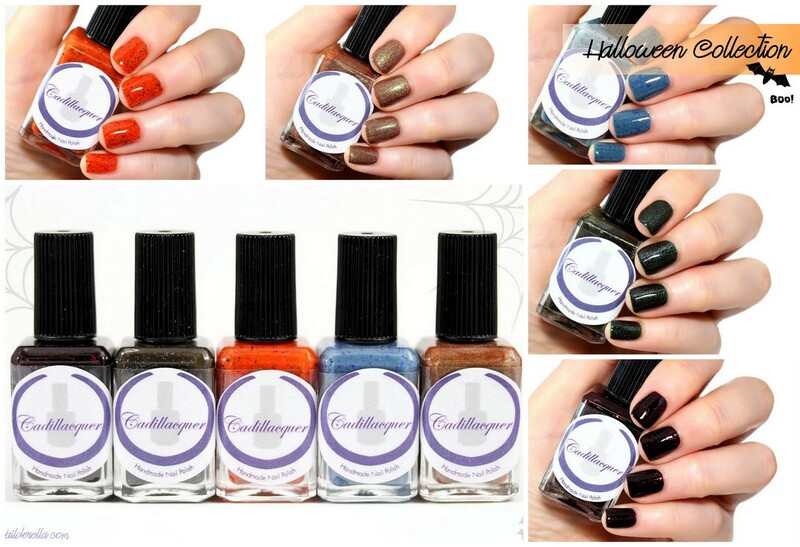 Cadillacquer's Holloween Collection is available now on Cadillacquer store. The Sons of Anarchy collection (swatched here) has been restocked and is also available now on Cadillacquer. 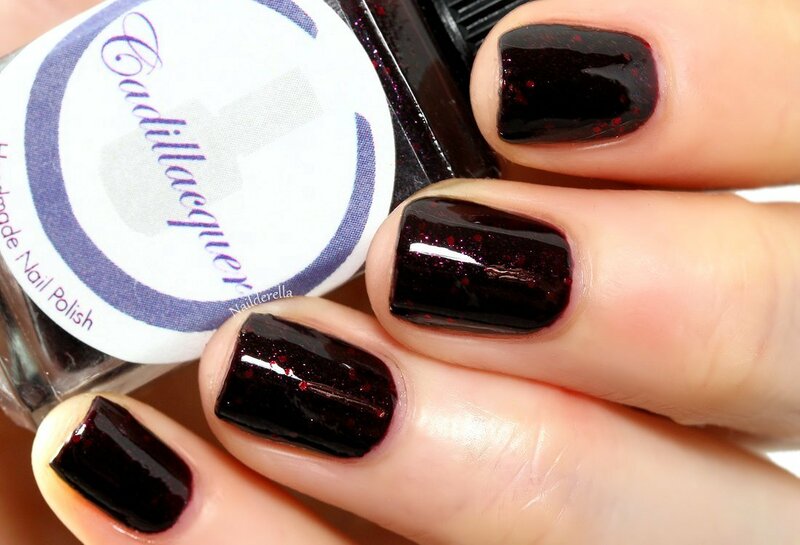 Cadillacquer can also be purchased from several retailers (see a list HERE). 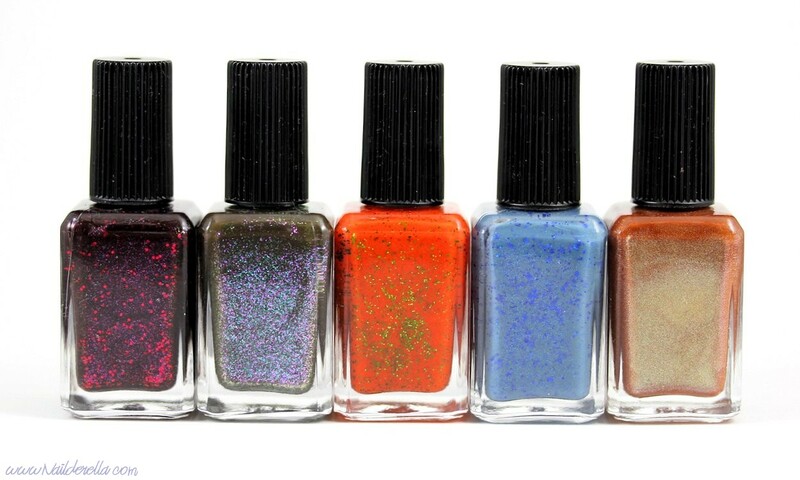 You can follow Cadillacquer on Facebook. The Sons of Anary collection will be available September 5th (tomorrow!) on Cadillacquer store. 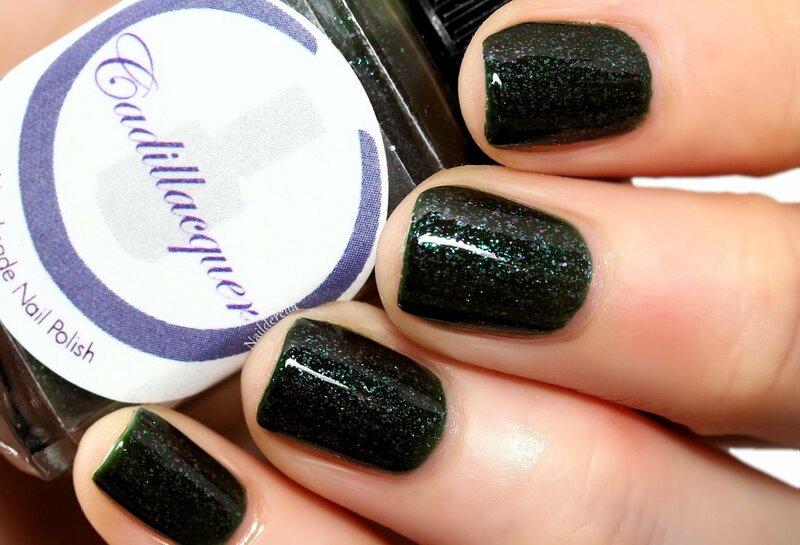 Cadillacquer can also be purchased from several retailers (see a list HERE). 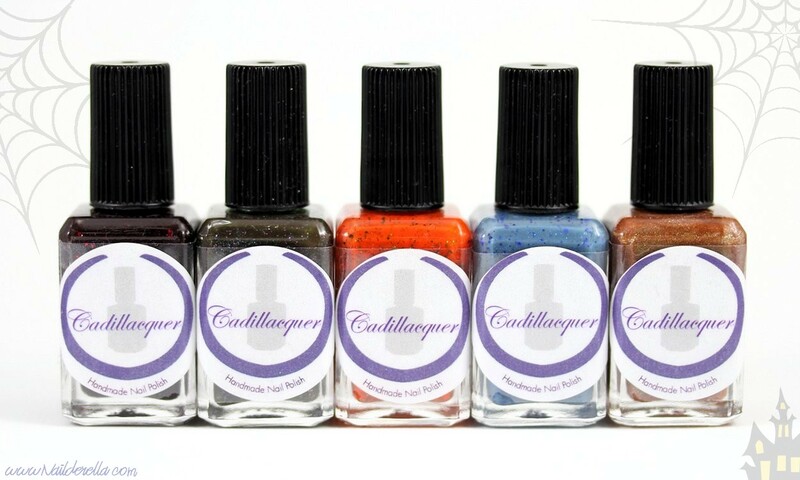 You can follow Cadillacquer on Facebook.